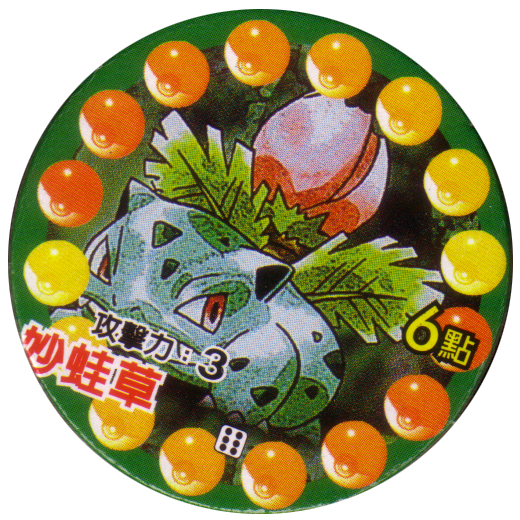 Info:These pogs all feature Pokémon characters from the Nintendo video games and TV series. 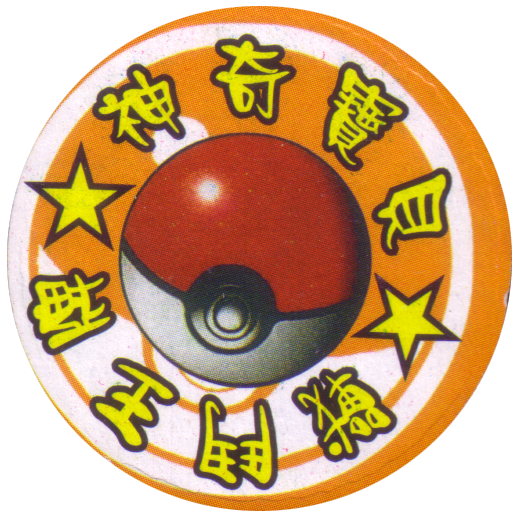 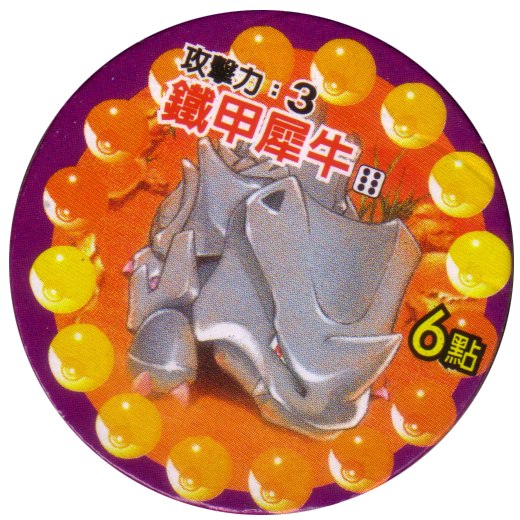 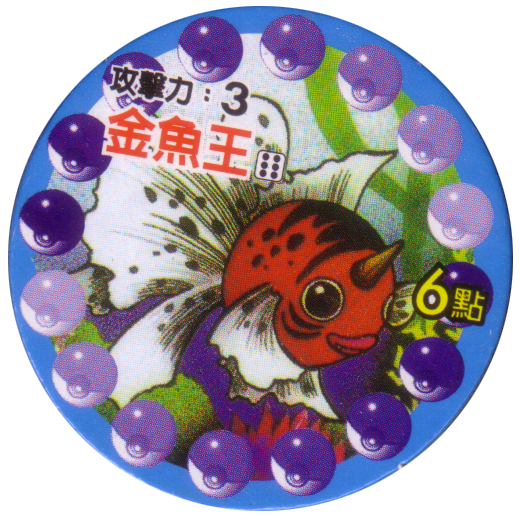 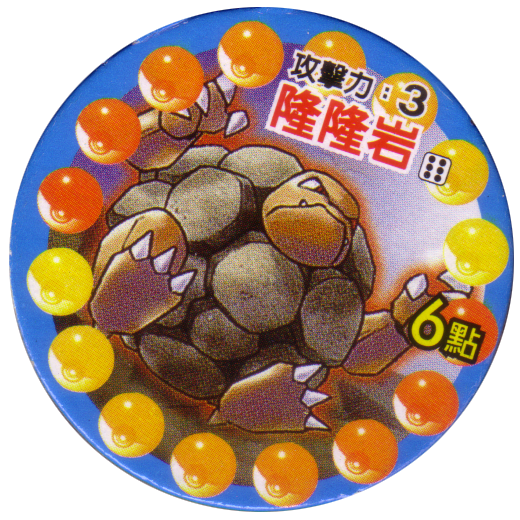 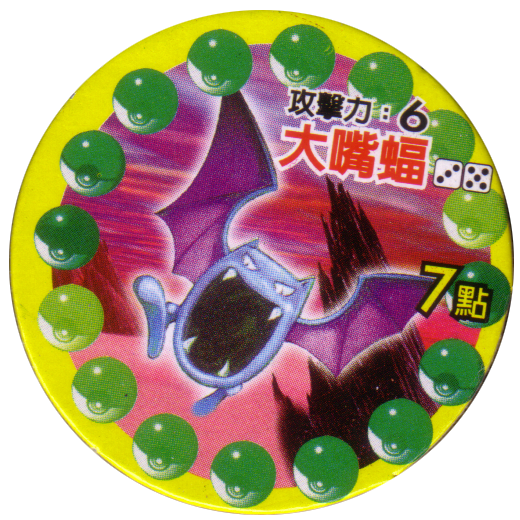 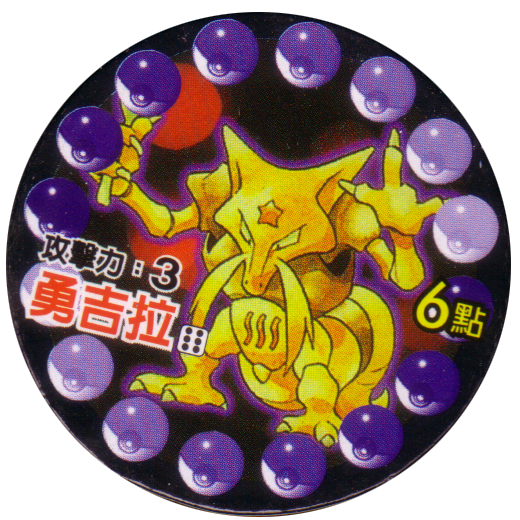 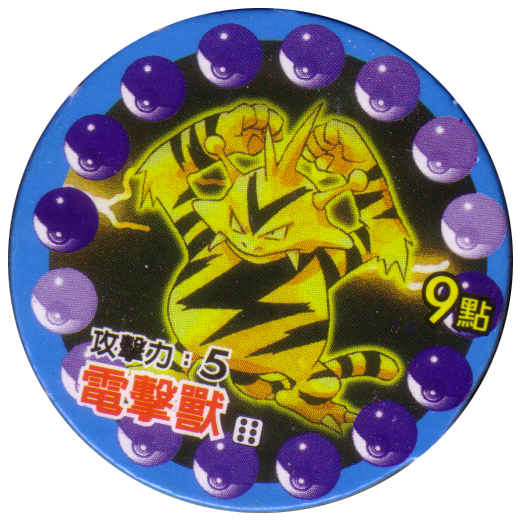 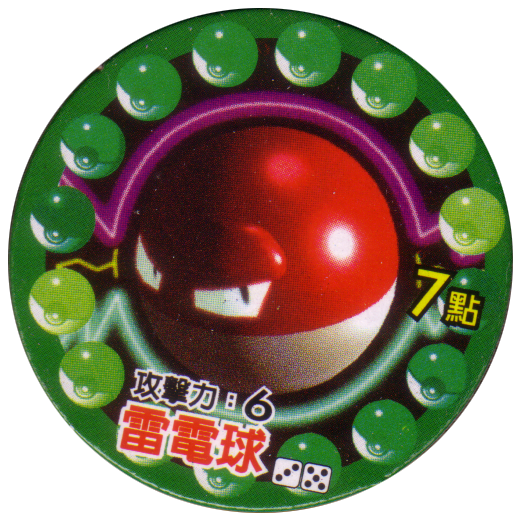 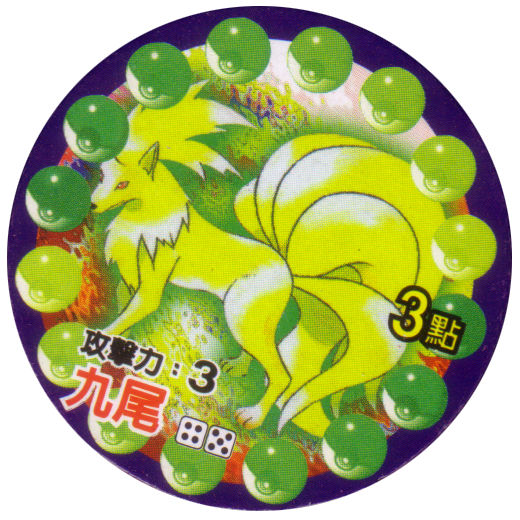 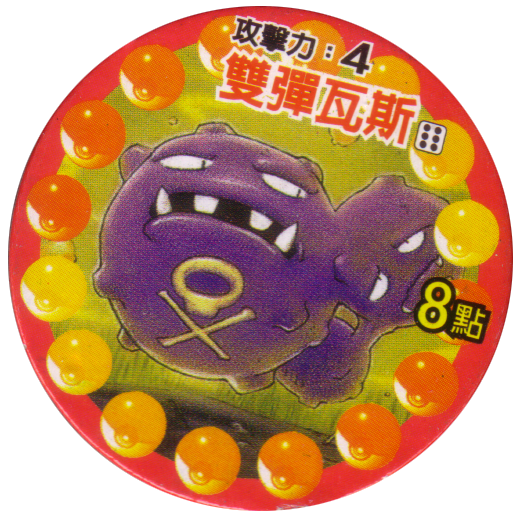 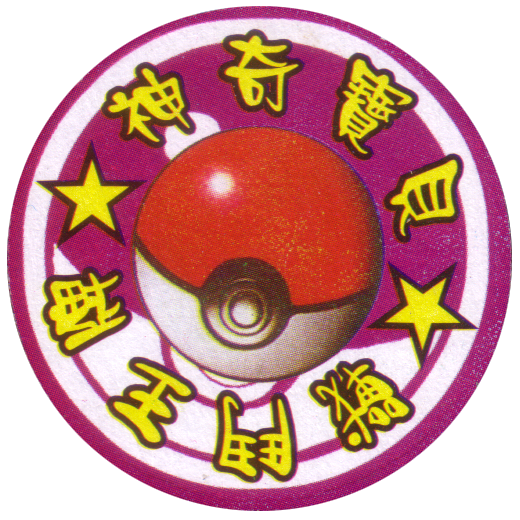 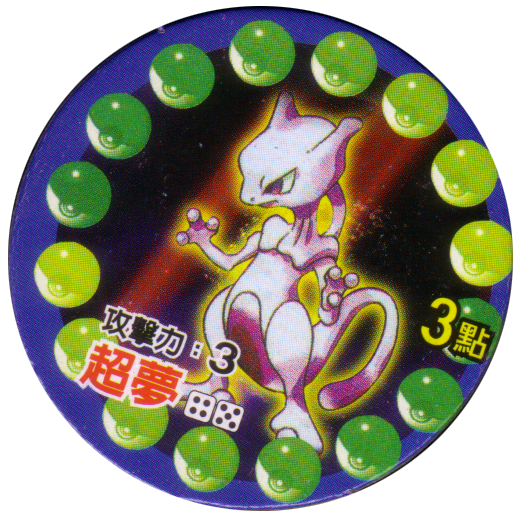 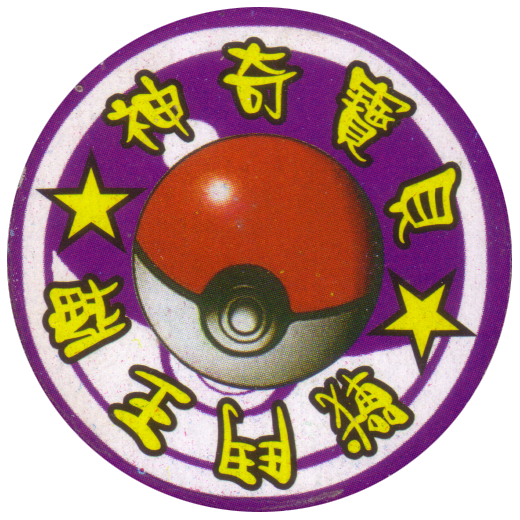 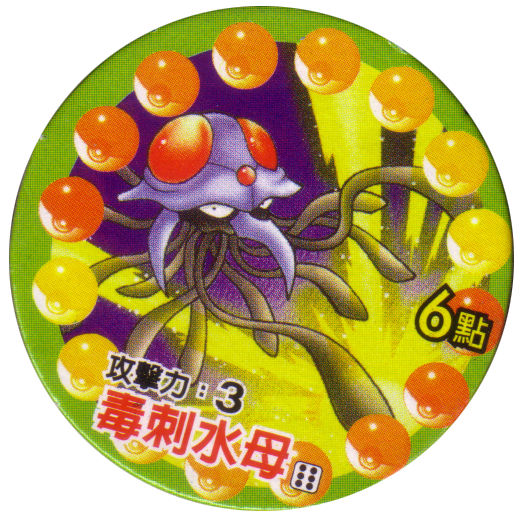 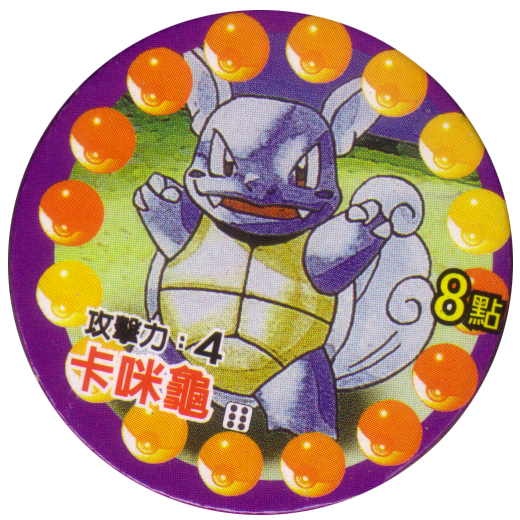 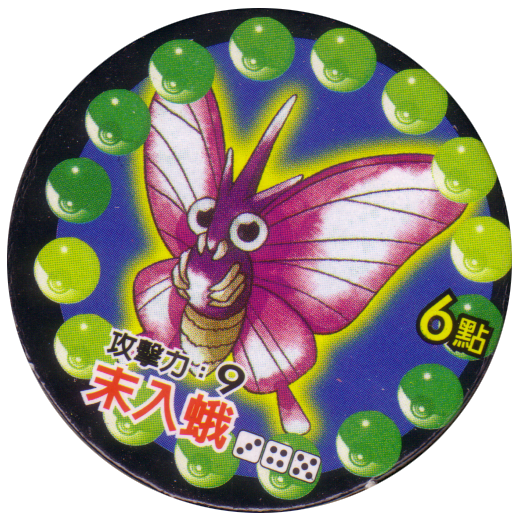 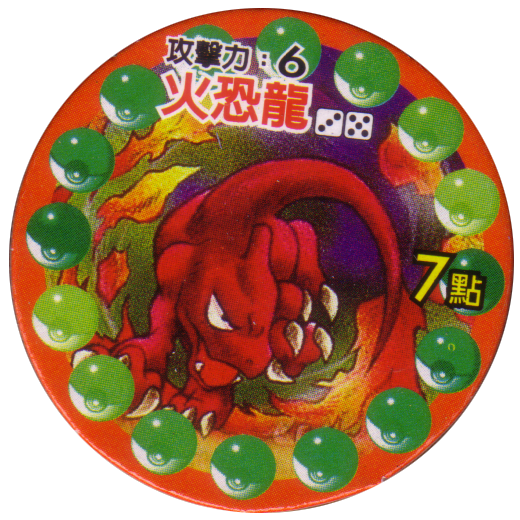 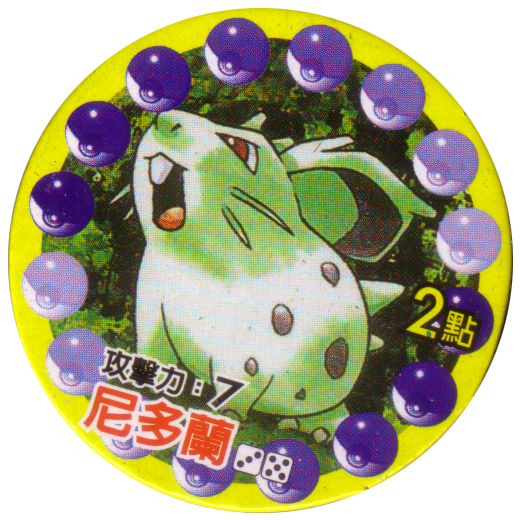 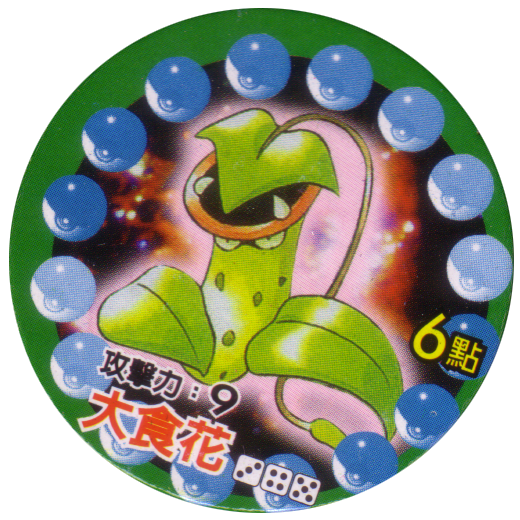 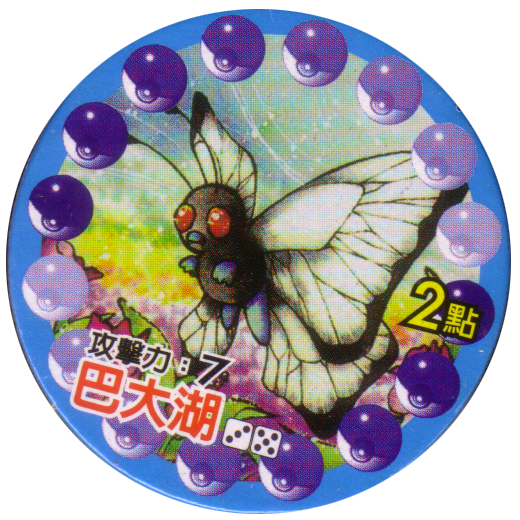 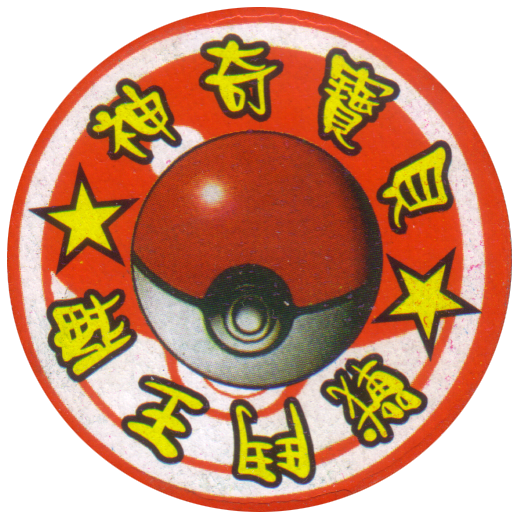 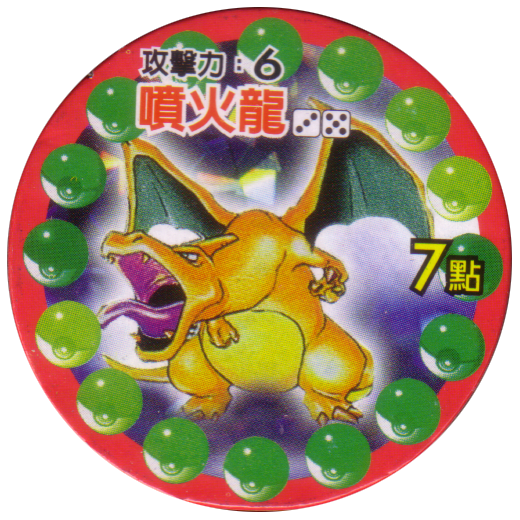 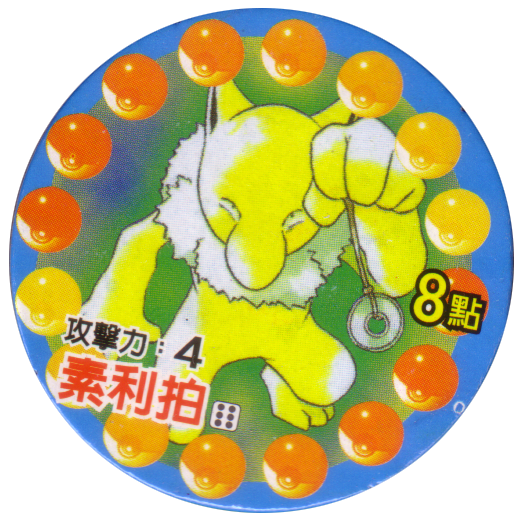 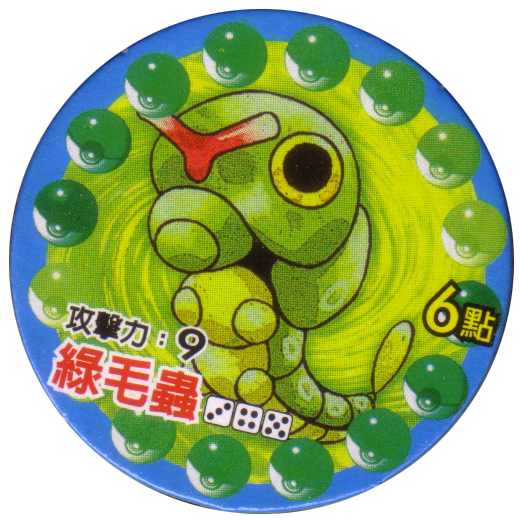 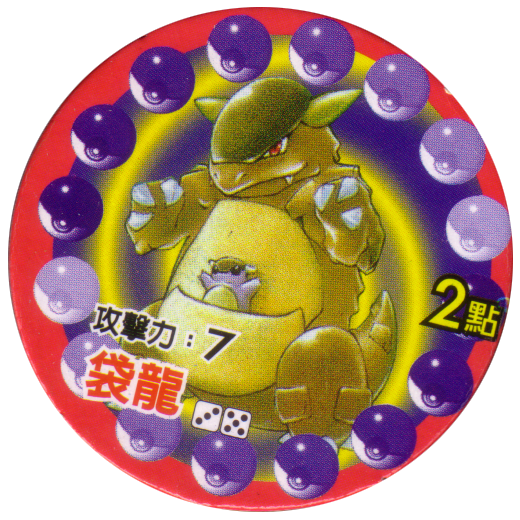 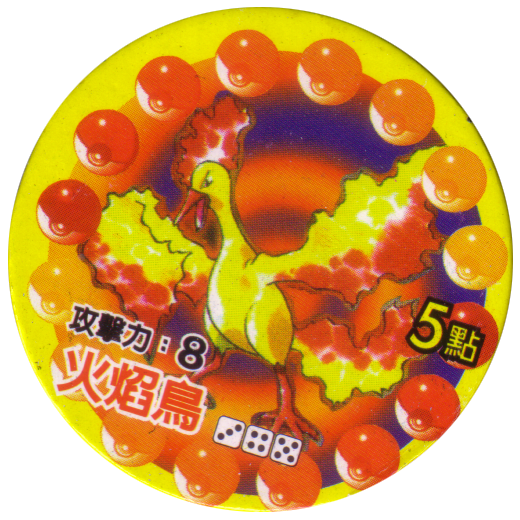 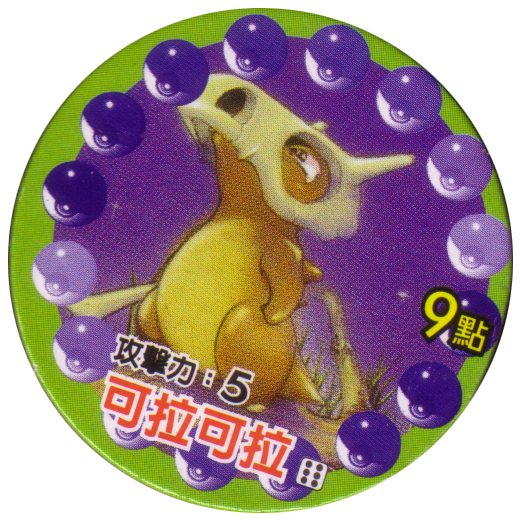 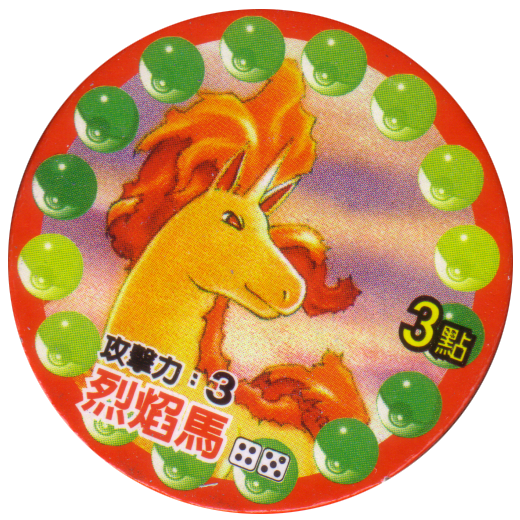 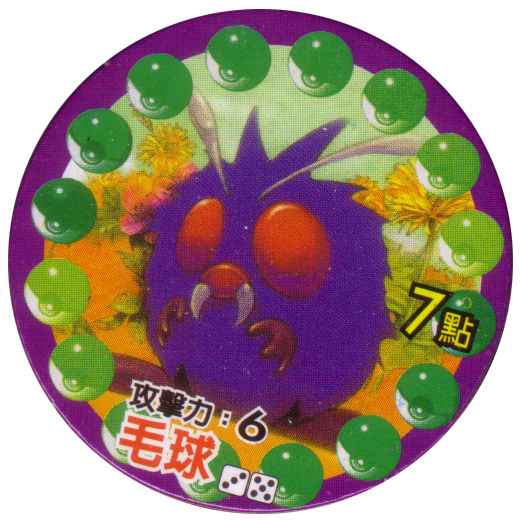 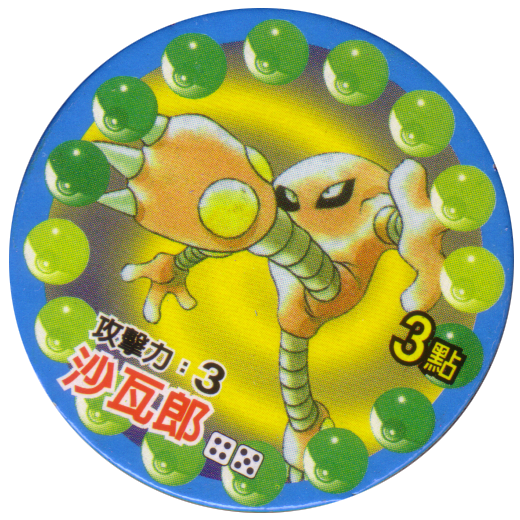 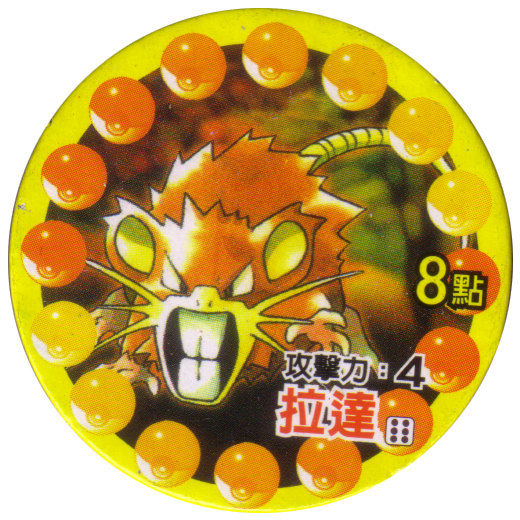 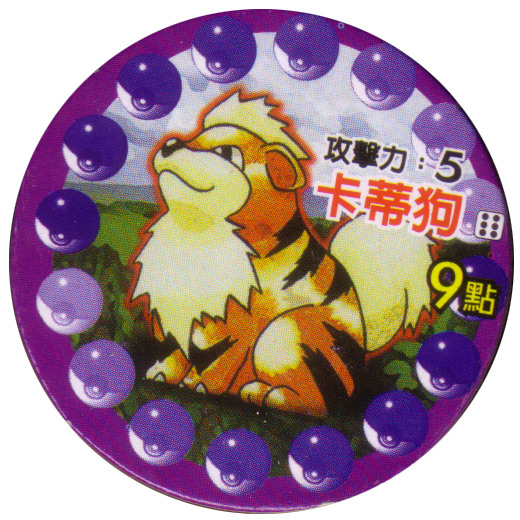 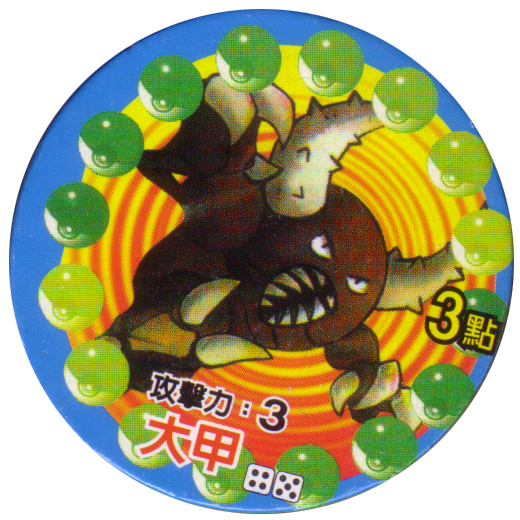 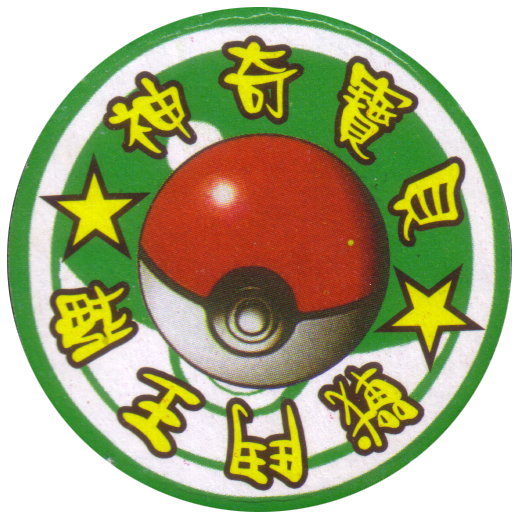 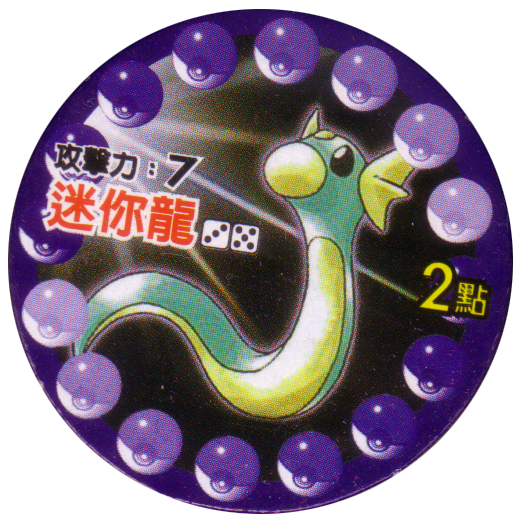 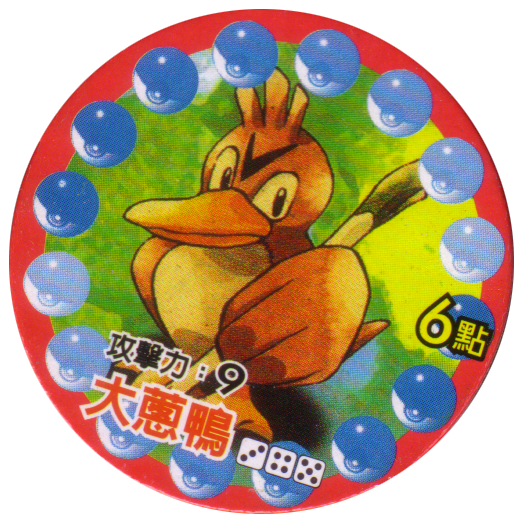 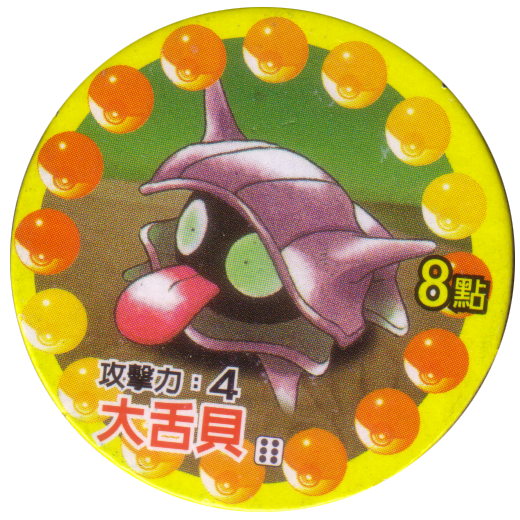 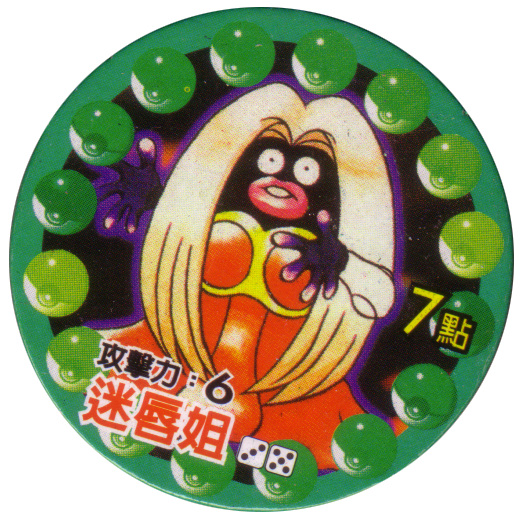 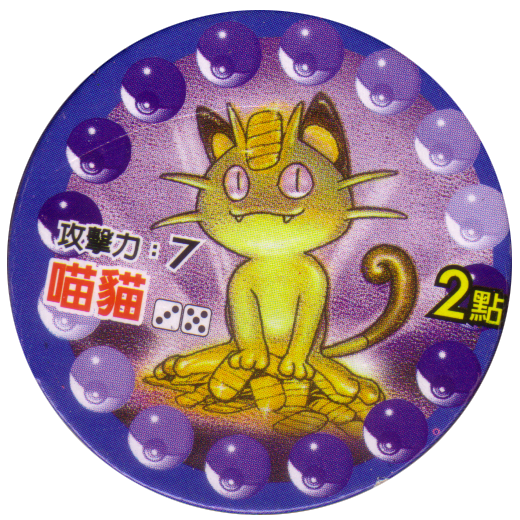 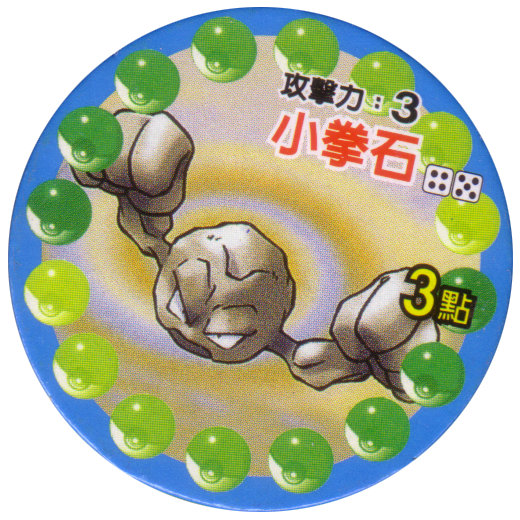 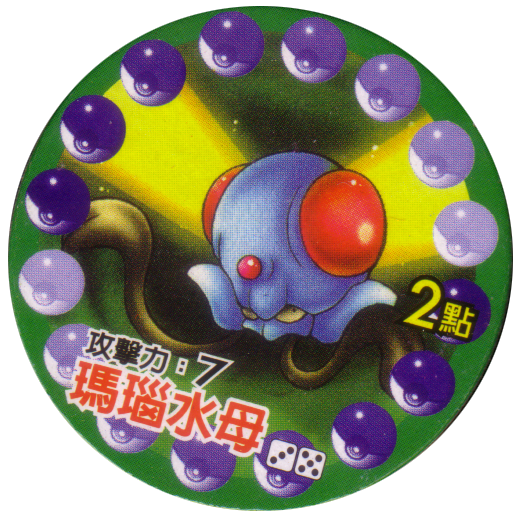 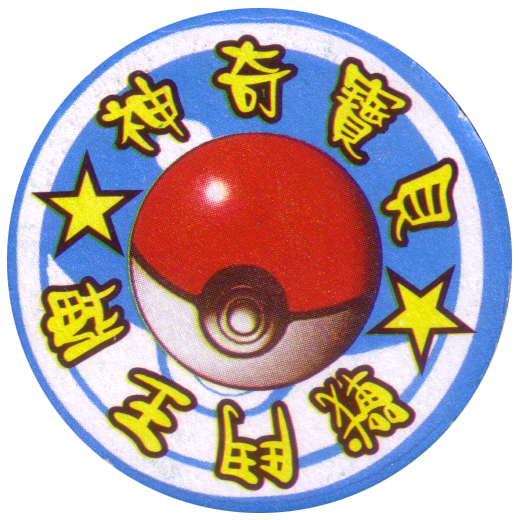 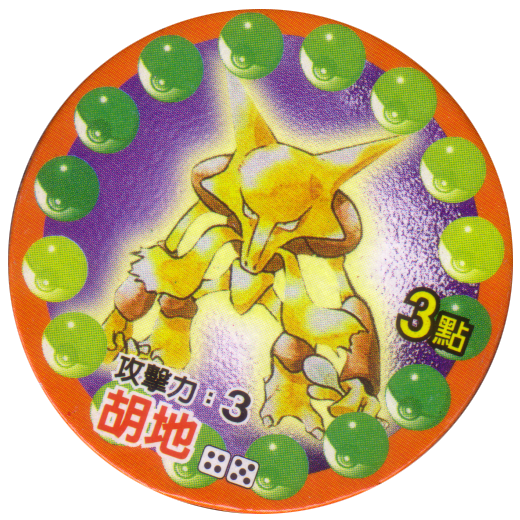 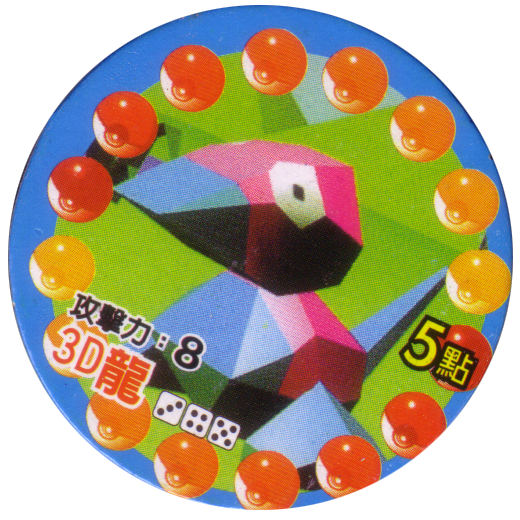 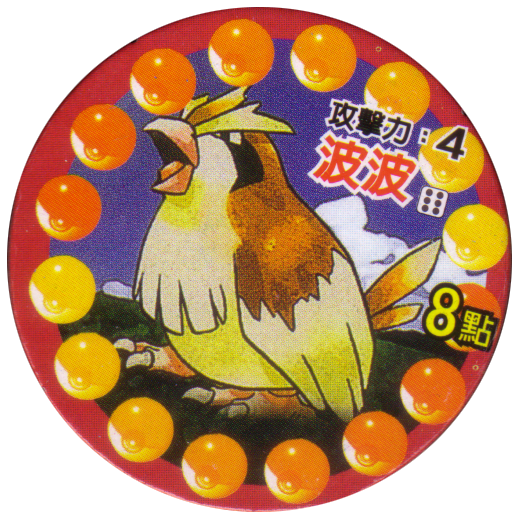 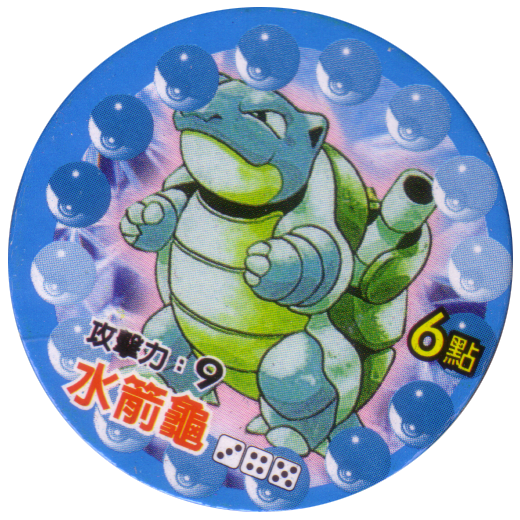 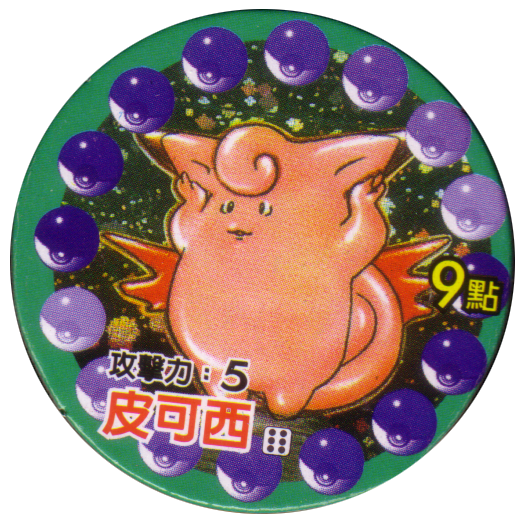 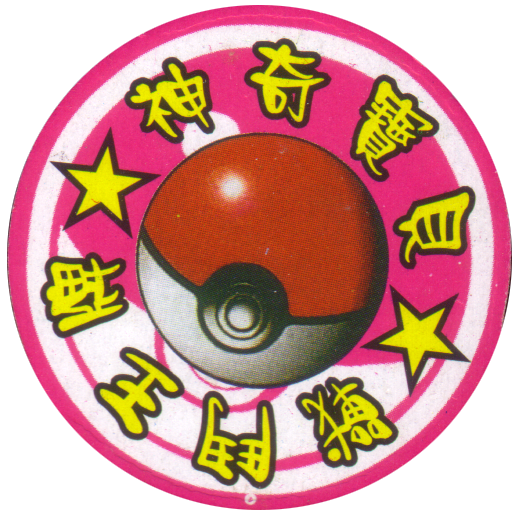 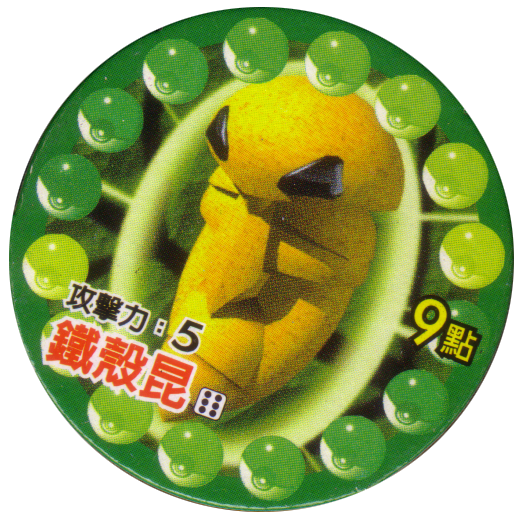 At the top or bottom of each cap it gives an attack power (攻擊力) and below that it gives the Pokémon's name in traditional Chinese. 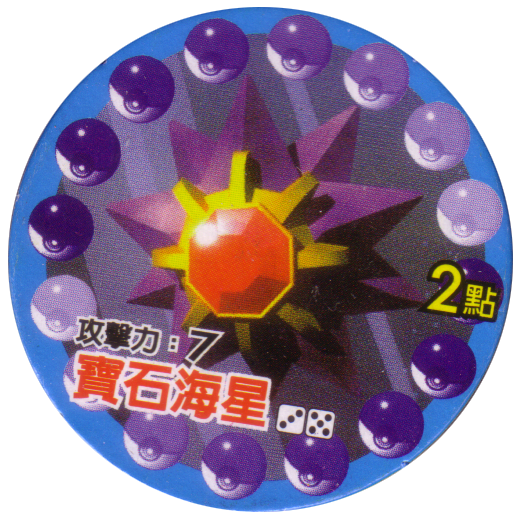 To the right of this it has two or three dice symbols. 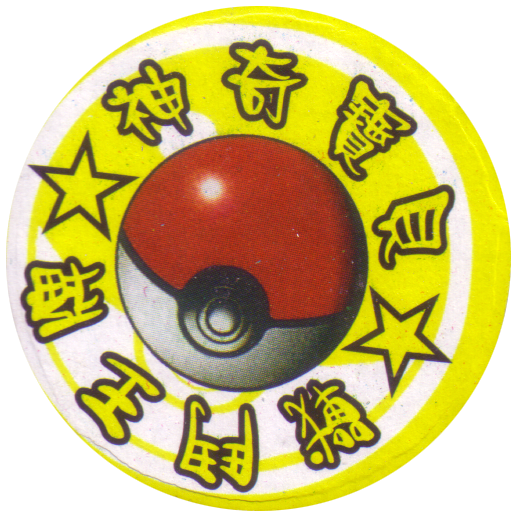 In the centre right it gives a point (點) score. 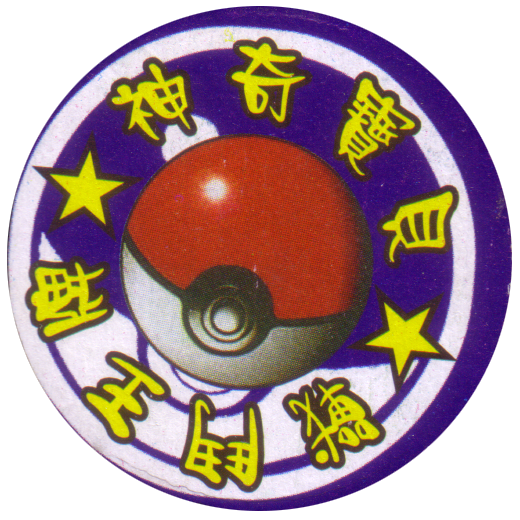 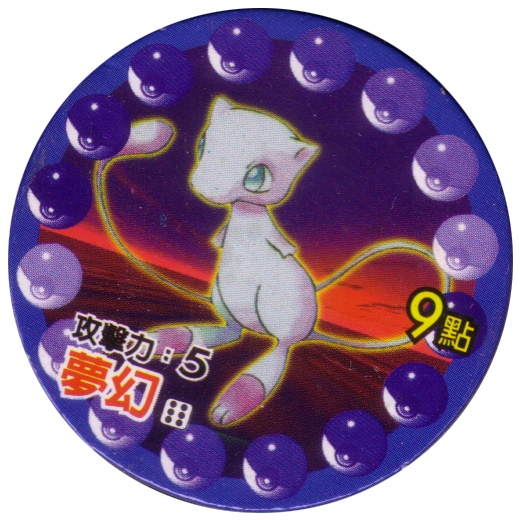 On the back it says Pokémon Battle Ace (神奇寶貝 戰鬥王牌) and has a large image of a Pokéball in the centre. 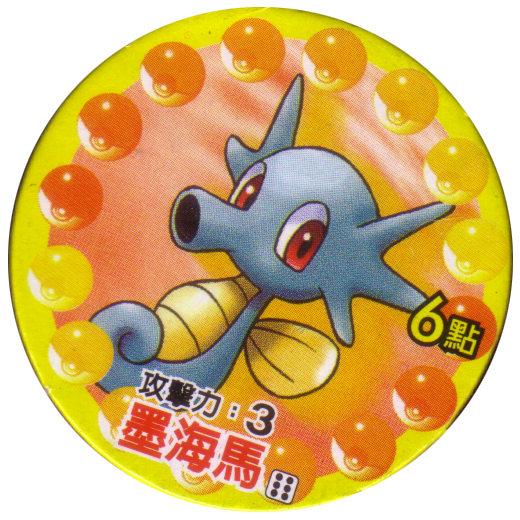 You can get the same cap with different coloured backs, and also the ring round the edge on the front of each cap can be different colours. 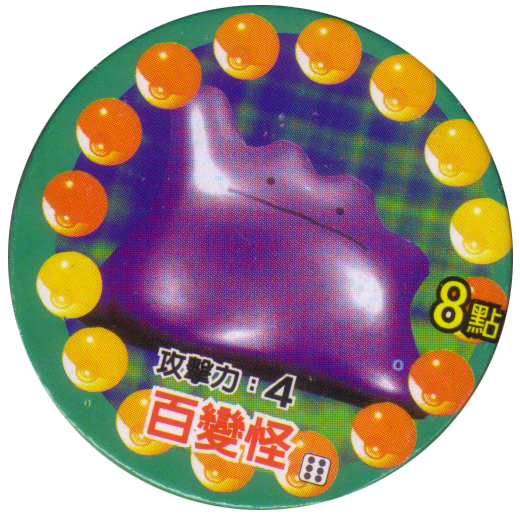 So there are a lot of variations available. 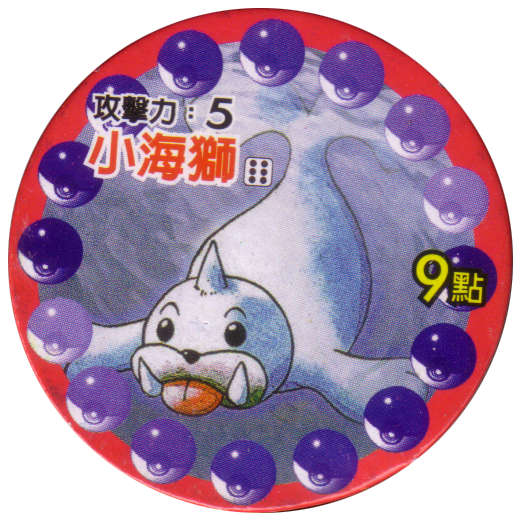 Excluding the variations there are probably 151 caps in the full set.